Can't attend? Follow ForwardLeap Training Lab to know of future events! Do you want to start a business? Would you like to pitch effectively to investors? Come and join this hands-on workshop which you will get to model your business with an experienced entrepreneur/investor and get valuable pointers from him to be effective in your pitching. Entrepreneurship is not a mythical, illusive creature and it is not a secret that is hidden behind doors. You CAN learn how to become a successful Entrepreneur and you CAN learn how to prepare yourself well. 3) How to build a compelling story to invite your investors to invest into your business. This workshop is suitable for anyone who has an interest in becoming an entrepreneur and build a viable startup business, be it online or offline. It is delivered in small group to foster interaction, allow learners work on their business models and get individualised feedback from an entrepreneur/investor himself, therefore it has limited seats. To help startups to define their business models, pitch decks and pitching, learners of this workshop will get 3 complimentary hours of individualised coaching (Valued at $450) from the trainer. The coaching is valid for 3 months from end of workshop. For the first 15 pax, you can use "EARLYBIRD" as discount code to enjoy 50% discount off the General Admission. 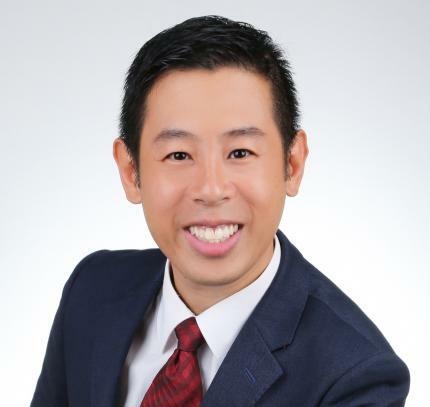 Former CEO of Financial Planning Association of Singapore and CMO of a regional business consultancy and corporate training company, Steven is currently the Managing Director of an angel investment company. He had over 16 years of professional experience in personal investment. He had authored a Study Guide in the area of Investment for Singapore Certified Financial Planner™ certification programme. A regular speaker and trainer in many seminars and workshop. In 2012, he co-founded and successfully sold a preschool financial literacy programme teaching preschoolers on savings, sharing, spending and entrepreneurship. In 2014, he had also appeared in Channel NewsAsia MoneyMind to share his views and experiences on Personal Investment. Besides being a mentor to many startups and personally invested in a few businesses, Steven is regularly invited to judge many pitching events, including EDGE Hack 2017 and INSEAD Demo Day 2017. He is also currently a Startup Mentor under Tri5 Ventures Next50 initiative, which is a movement for and by the entrepreneur community, launched with the aim to provide complimentary one-on-one mentoring sessions for early-stage start-ups. Recently, he was appointed by Temasek Polytechnic and Republic Polytechnic to be one of their Startup Mentors.